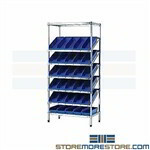 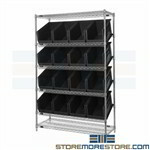 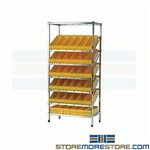 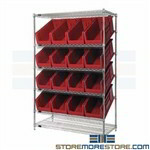 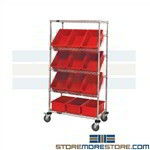 Slanted wire shelving with bins are ideal for organizing small parts for efficient picking stations. 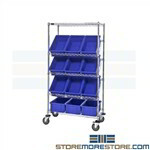 The angled bins allow parts to be easily identified and accessed. 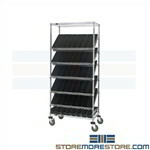 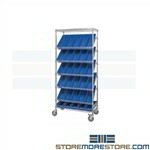 Available as stationary racks or with casters for mobility.